A little bit of history: Opus 88 is a newer brand to have found its way into our pencil cases. While the likes of Pelikan have celebrated their 175th anniversary this year, Opus 88 is still on its way to reach its 50th birthday. 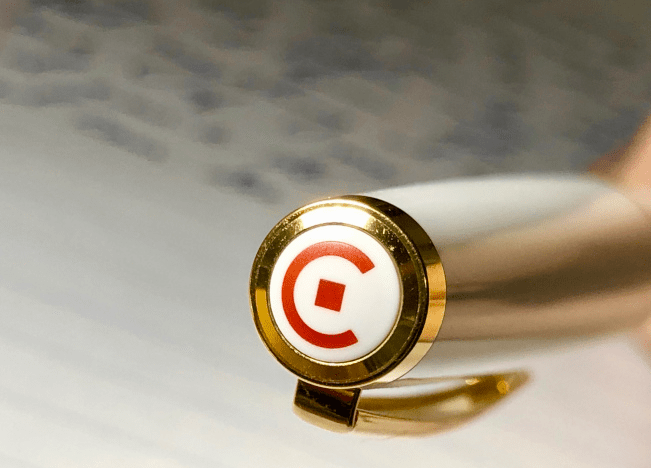 Hailing from Taiwan, the brand has made its mark with a pen that has become quite popular and sought after, particularly within the internet pen community. How it looks: There are a number of different flavours to choose from with this pen. There’s blueberry; a slightly greyer blueberry, orange and strawbe.. I mean, blue, bluish-grey, orange and red as well as an oversize clear demonstrator version (available at a slight premium). Besides the clear demo’, all the pens follow the same design scheme which is a rather vibrant acrylic main body with ebonite accents in a slightly duller (though certainly not to say this is a bad thing, as it compliments the pen very well) colour of the acrylic. How it feels: The pen is on the larger side, and of course the ‘oversize’ version will be even larger still. It sits nicely in the hand, however, and is nicely balanced. The cap screws off but there are no sharp threads and the section is quite long anyway, so it’s not uncomfortable to hold. The acrylic is very smooth and even when it’s capped it’s quite nice to run your fingers over the ebonite. How it fills: Not something that’s often found in the majority of modern pens, but the Opus is an eyedropper pen. This is a rather easy system to use (though its convenience may be debated), as you just fill an eyedropper (or syringe) with your ink, expel it into the barrel of the pen and you are able to use the entire barrel-full (if you so desire) giving a fuller fill than if you were to have a piston system, for example. 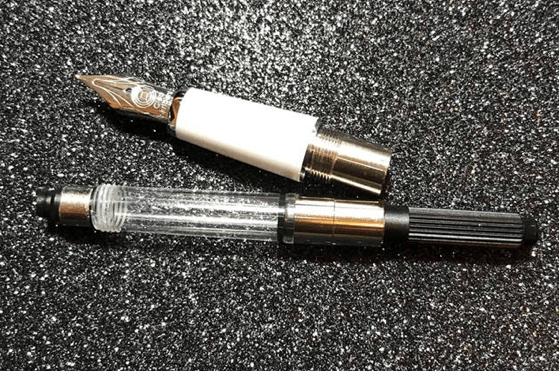 Slightly confusingly, there is what looks like a plunger arm within the body of the pen, but this is actually used as a shut-off valve like those found in pens such as the TWSBI Vac 700 and the Pilot Custom 823, as eyedroppers are prone to “burping” out ink. A very useful system! The pen arrives with an eyedropper pipette so all you need is to supply the ink from a bottle and you’re ‘good to go’. 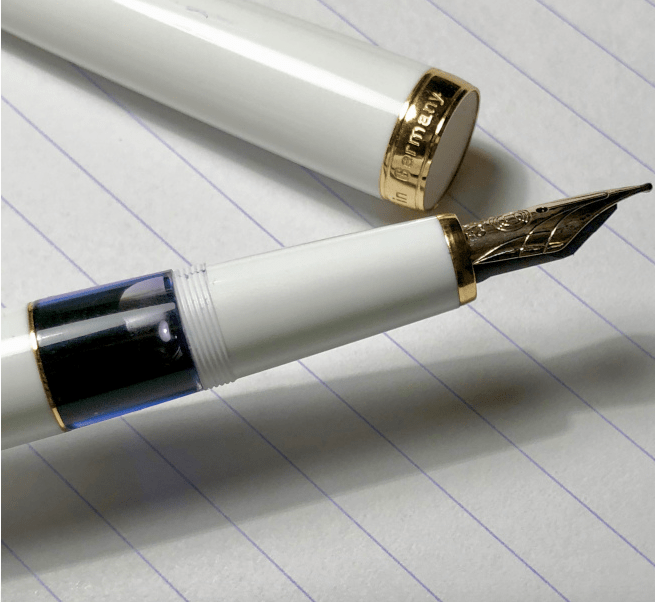 Crucially, how it writes… The nib is a steel JoWo – typically very reliable. Pen! What is it good for? If you need a large ink capacity and something fun to show off, this is a great pen to consider. Though, while precautions have been taken to prevent any leakage, it may still be prone to typical eyedropper problems and so therefore care should be taken when carrying this around. VFM This pen comes in at $93 for the regular ‘normal size’ models and $120 for the ‘oversize’ demonstrator – that’s upper £60 and lower £80 respectively. That doesn’t break the bank and you get a nice looking pen with an interesting filling system that also feels great. While the occasional dryness was experienced with the nib of the test unit, this is usually fairly simple to fix (of course, at one’s own risk) and the pen writes reliably, bar the flow. If this isn’t quite your cup of tea, but almost… Many early vintage pens were eyedropper -filled – Mabie Todd, for example, made several. Other pens can sometimes be converted into an eyedropper though this requires a bit of work and maintenance on the user’s end. If you’re interested in converting a pen into an eyedropper, make sure you know how to do it properly and research whether or not the materials of the pen mean you can (metal parts, for example, are a no-no) – as well as ensuring the pen is actually convertible (such as there being no holes in the barrel, such as with a Lamy, or that it’s not all one piece). Some piston-filler pens can be used as an eyedropper as well, but some of the barrel is taken up by the piston mechanism. A TWSBI may also be considered which would run to about the same cost, if not cheaper (certainly when considering buying from within the UK as you’re not going to pay as high a shipping cost or potential customs). Or if you fancy just this pen but with a gold nib, a screw-in JoWo #5 is available as an after-market upgrade. Our overall recommendation: A pretty decent pen from a company relatively new on the scene. There’s a lot of potential with these pens, and some interesting colour choices that should appeal to most people. Where to get hold of one: These are available at Pen Chalet, where you will find both the regular Koloro and the oversized demonstrator model. 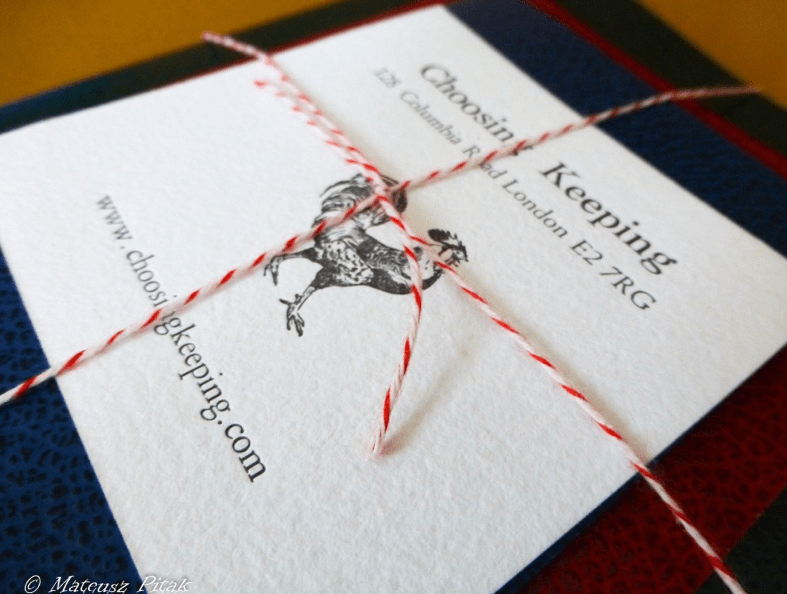 A little bit of history: Choosing Keeping is a shop found in London that can be reached through the Central Line or the many lines that serve London Liverpool Street. They are open Wednesday through to Sunday (which means they’ll be open on the weekend, if you plan on spending a weekend in Central London!). Choosing Keeping sell fountain pens, rollerballs, ballpoints, mechanical pencils, art & office supplies, desk objects and many more. 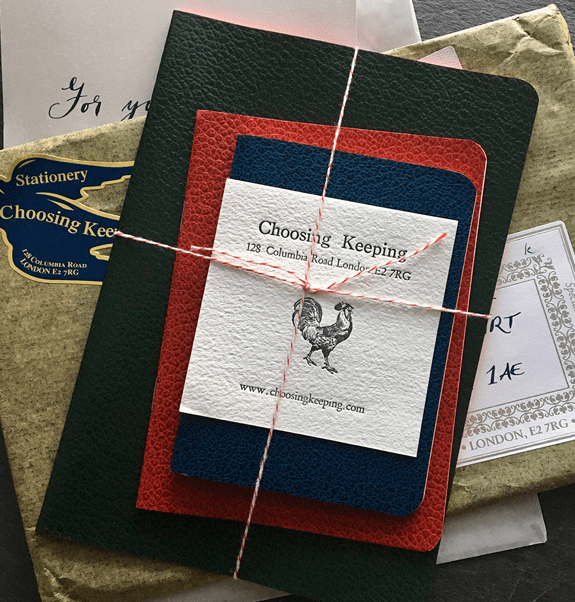 What we have for you today is from their paper offerings: some very beautiful notebooks in three different sizes. How it looks & feels: Those within the Inkdom were very impressed by the presentation of these notebooks. There’s a very retro look to them, which is further enhanced by the string keeping them together when they were delivered. 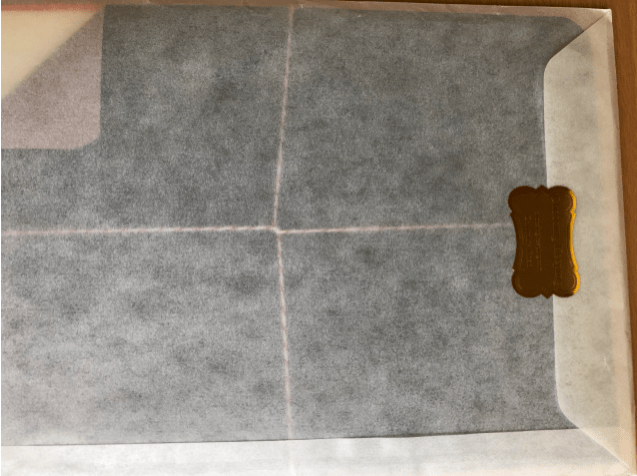 The personal touch and retro look is further enhanced through the envelope that the notebooks are stored in, inside the parcel package. Hand-made in Italy with leather-looking paper, these seriously look the part! The covers do throw you a bit because you expect them to be leather, but they definitely don’t feel it. You can tear them with a bit of force, but it shouldn’t be a problem for normal carry. 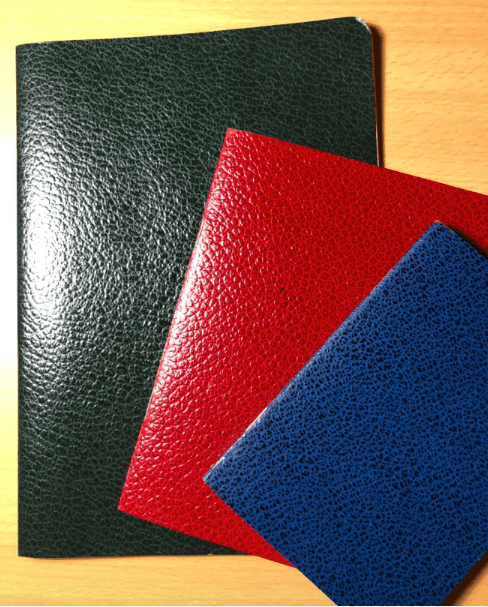 The covers come in three flavours, depending on the size you want: green (A5), red (11x15cm) and blue (9×13.5cm). 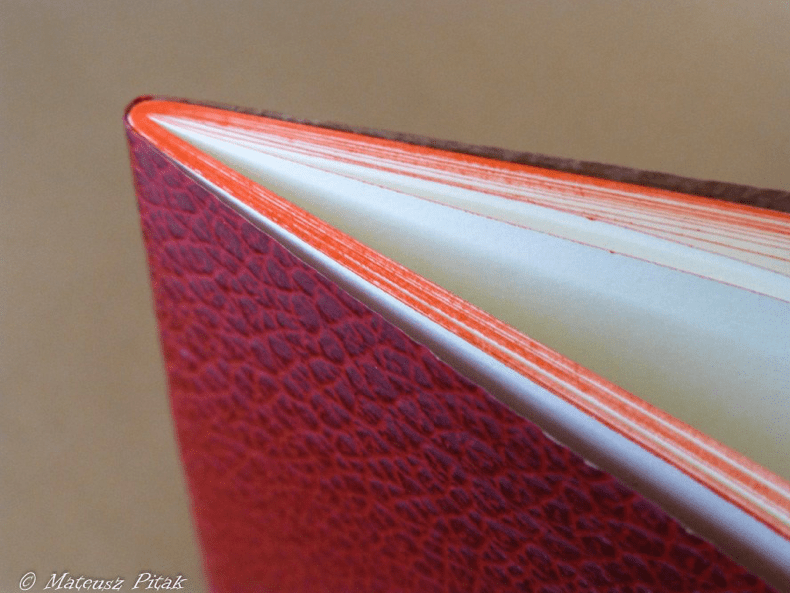 The pages are lined with red edges, which is a bit different. Another thing that is lined is the off-white pages themselves, though you do have the option for plain layouts too. 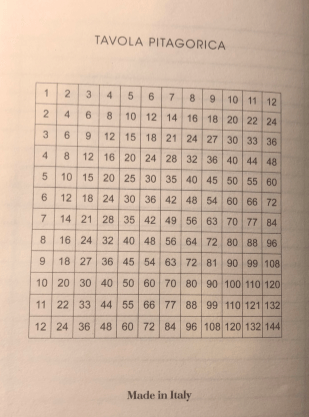 On the inside page you have space for a weekly planner overview and on the final page is a multiplication table. Could be useful? It’s written in Italian as these are Italian-made notebooks – you can still understand the numbers though! The paper has a bit of tooth and texture, but nothing overly noticeable or anything that would give a bad writing experience. 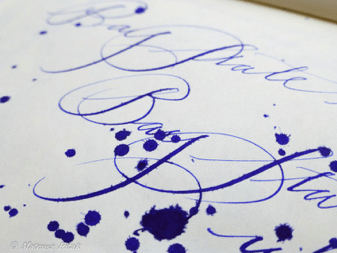 Crucially, how does it handle fountain pen ink? 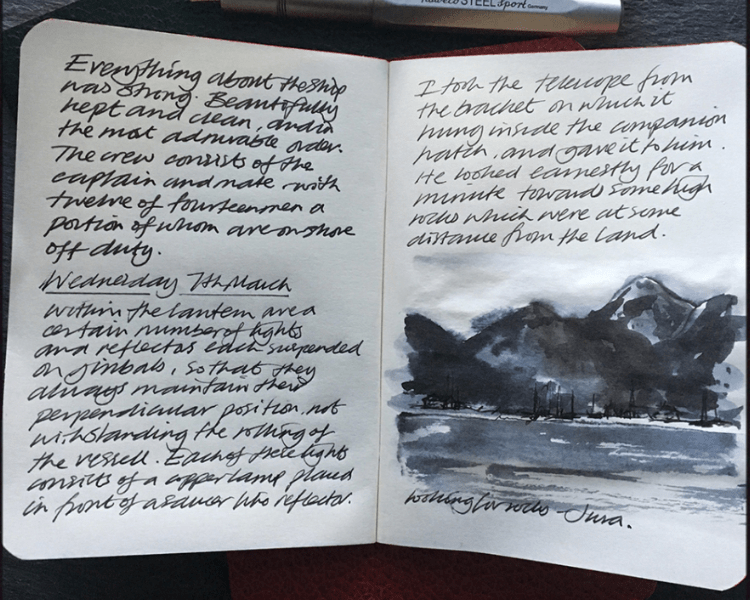 : Coming in at around 70gsm, we may have been a bit sceptical as to whether the paper would hold up, but it handled fountain pens very well. 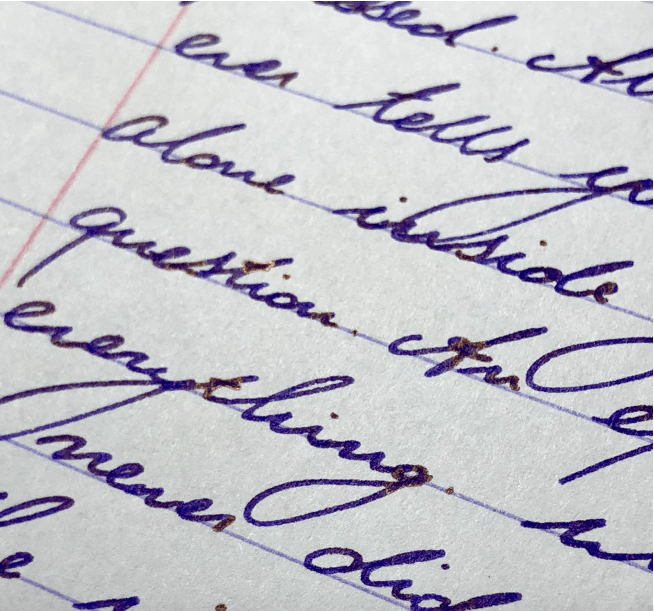 Even with wide italic nibs sporting Noodler’s inks in Daniel’s tests. They even held up to Nick’s tests! 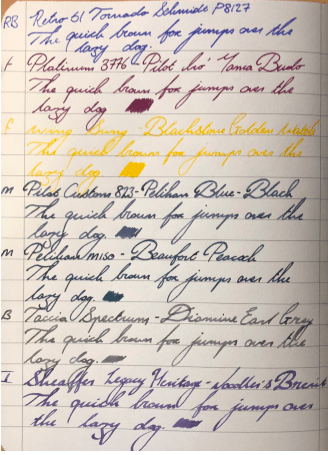 However, it wasn’t enough to hold up to Noodler’s Baystate Blue, as Mateusz discovered, though with all due respect this is a very difficult test to pass! We also discovered some sheen, which would appeal to some of us. Pulp! What is it good for? : Coming in different sizes, you can use these for different applications. But you have the options, from a pocket notebook to scribble down quick notes up to an A5 size for those more in-depth thoughts. They complement each other quite well as you have the different sizes which will allow you to transfer and expand on thoughts when moving to the larger sizes; it would be quite interesting to view your own thought processes expand in that respect! VFM, and what else is there on offer if it isn’t quite your cup of tea? : £18 for three notebooks does sound like quite a lot. Especially when you consider that Rhodia A5 notebooks are around the £2 mark. Overall you get 186 pages when considering all three notebooks, which leaves you paying a fraction under 10p per page. Leuchtturm notebooks, with 249 pages, for reference will be 6p per page. 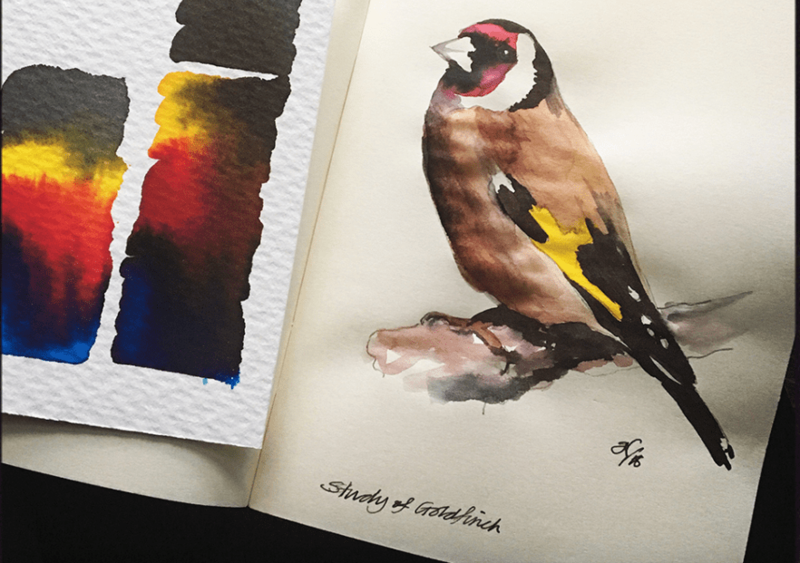 Leuchtturm also come with more options, such as colour, options for planning and numbered pages, though the paper quality is often contested. However, you don’t get the same personal touch or feeling when using other notebooks and that is something you definitely get with these. They are also very easy to slip into a bag and don’t take up too much space due to their covers, but remain very stylish and looking the part. Our overall recommendation: The personality, the way the pages keep up with fountain pens.. It’s difficult to give these a miss. 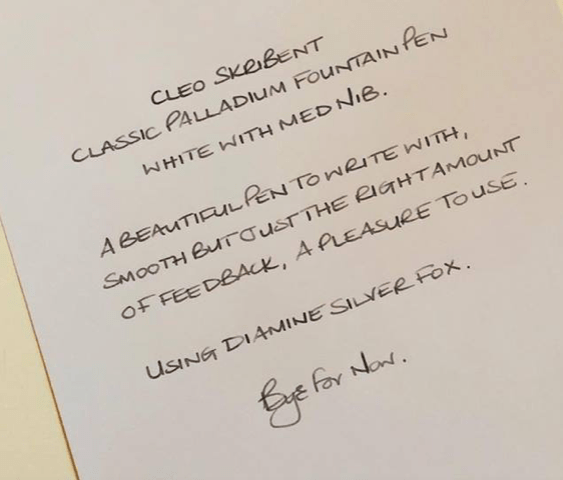 A little bit of history: While other German manufacturers such as Pelikan and Kaweco have been around since the 19th century, Cleo Skribent is a company that found itself established in the 20th century, shortly after the Second World War. The pens were made in Germany, initially in the founder’s garage “behind the iron curtain”. Once the curtain had been lifted, Cleo Skribent saw a booming business and the company continues to manufacture pens to this day. The name Cleo refers to the Egyptian pharaoh, Cleopatra, with whom the company identifies with due to the innovation and design of the Egyptian pyramids (though Daniel does point out Cleopatra lived closer to the launch of the iPhone than she did the pyramids). How it looks: The Classic measures 134mm uncapped and 163mm posted. Some of us found the pen to be large, while others considered it small. The pen is also slim, which gives it a refined and sleek look, though this may not be to everyone’s tastes. The pens come in a range of colours of white, black or red and each come with their own option of gold or chrome furniture which means there’s something for everyone. The design, depending on who it is you’re asking, could be described as “understated”, or just simply “boring”. Though, the white and gold option does offer something “the same but different” as it’s still a conservative looking design but going about it in a different way. If you want something a bit more “out there” and unconventional, perhaps the red would tickle your fancy. The various options that you get are a fantastic selling point. For example, Daniel enjoyed the white and gold aesthetic, while Sarah thought the gold and silver looked better. There’s choice for everyone (that is, so long as you like white, black or red pens). On the top of the cap is the Cleo Skribent logo. The piston filler versions of the pen come with an ink window, which is very handy. How it feels: The Classic weighs 18g capped, so this is an extremely lightweight pen. For some of us, that put us off a little bit. However, it is certainly well balanced and if you wish to post the pen, it does so very well. The cap screws off, but the step up to the section is minimal and due to the long section, you can bet on having a very nice grip on the pen. 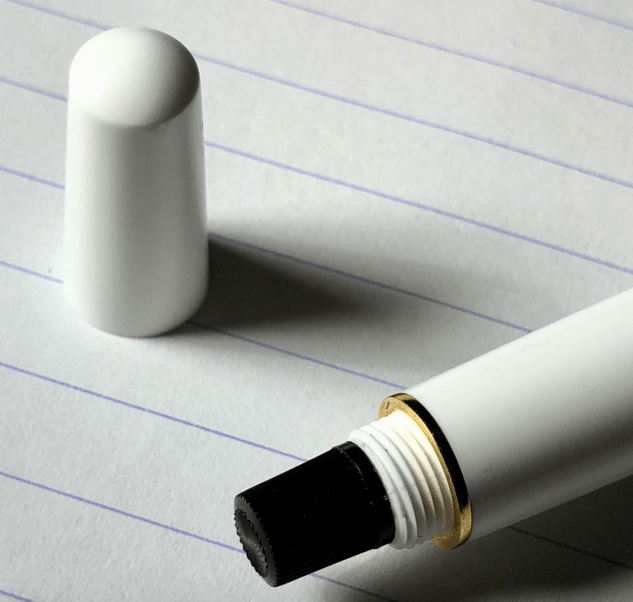 How it fills: You have the option of a cartridge/converter pen or a ‘piston’ filling pen. The cartridge/converter is compatible with standard international fittings. The piston is essentially a captured converter. You unscrew the blind cap at the end of the pen to get to the converter inside and you then twist it like a normal converter. However, the piston filler does hold more ink than the standard international converter (which screws in, by the way, so you avoid any ink spillages by the converter coming loose!). By using the piston filler, it does make it harder to clean out (though not impossible or by any means tedious). Crucially, how it writes: Not all of us got on with the nib initially. Several of us noticed hard starts and skips at first, which perhaps isn’t something you would expect from a pen in this price range. The nib is also on the dry side when first ‘out of the box’ – but Scribble reports much wetter, softer action after the 14k nib has written a few thousand words. 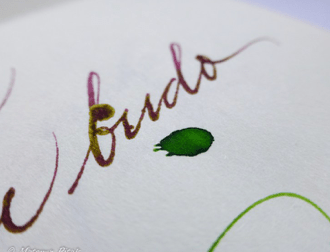 Because we were testing the gold nib options, we did find a bit of spring and bounce which is characteristic of gold nibs, however this fell short in early use when we found the feed didn’t keep up with the flow. However, a super-wet ink helped a little – and in at least one case prolonged use fixed it completely. Pen! What is it good for? The Classic is, simply put, a classic design. It’s slightly more streamlined than other pens, so you get a slightly different aesthetic to the typical cigar shaped pen. This is certainly something you could take into a business or more professional setting. Because of the wide number of choices that you can have, you can choose the exact specifications that suit your needs and would also make it a very good journalling pen or something that you carry around with you due to the lightweight characteristic (also makes it good for extended writing sessions). 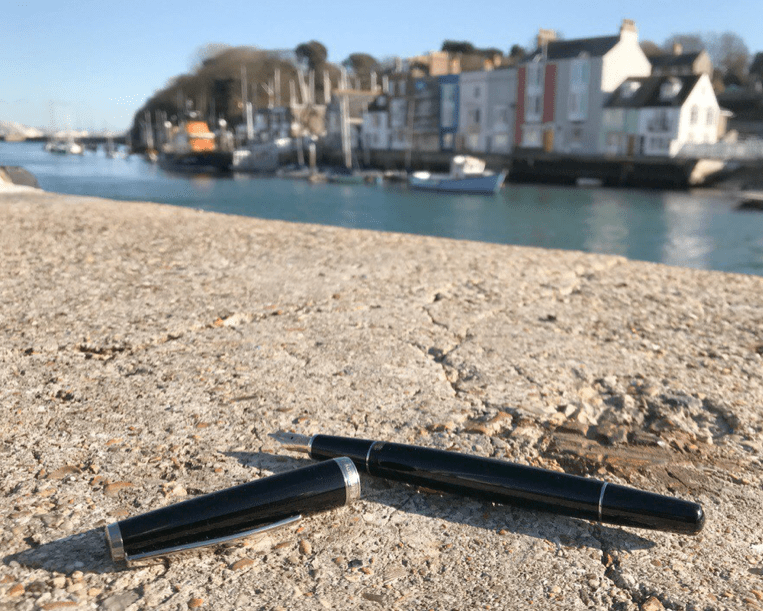 If this isn’t quite your cup of tea, but almost: The price of this range goes from £75 with a steel nib and cartridge converter filling system to £155 with a 14k gold nib and a piston filler, so it occupies a range in the market. For a gold nib, you can’t go too far wrong with the Platinum #3776, which you can pick up for £99 if you look in the right places (even cheaper, if you’re on the grey market) which comes with a gold nib and is a pen known for fantastic quality. This is, however, a cartridge converter. The TWSBI Vac 700R is also an option, which has a larger ink capacity, though with a steel nib. 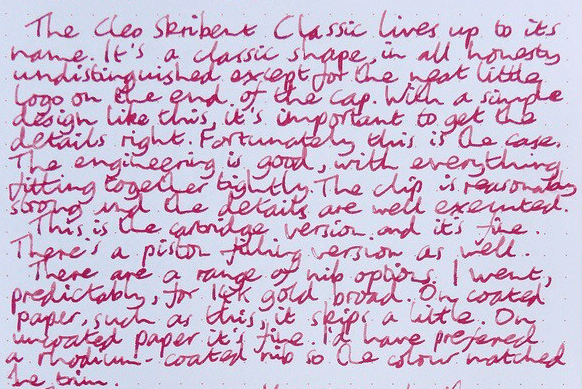 If a good, reliable gold nib pen is something you’re after then the #3776 is a very good pen to consider. If the ink capacity is more your concern and you’re looking around this price point, you can’t really beat the Vac 700R at this level. Of course, Cleo make all sorts of other interesting models too, like the Ebonite. 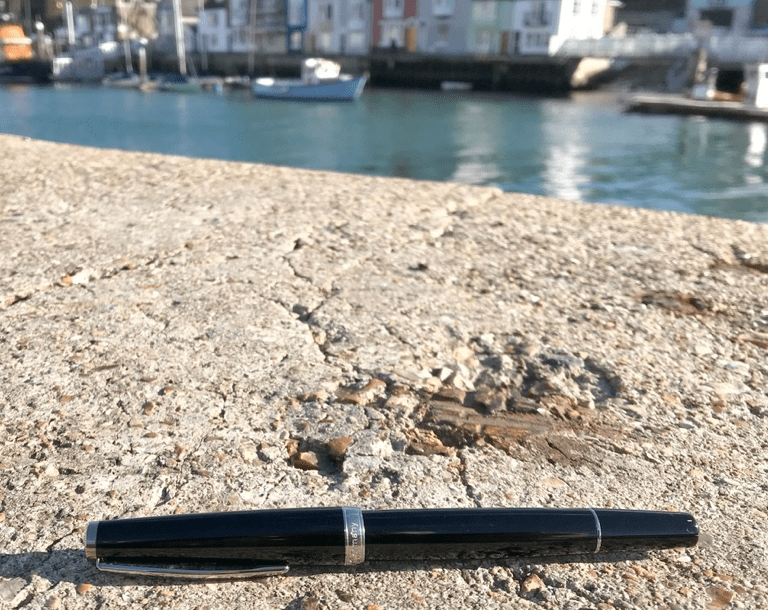 Our overall recommendation: This is a pen which wants to work for its living, and a potentially promising choice if you’re looking for a work-horse; it responds best after a good wearing-in. That can be an unusual experience if you’re used to pens working perfectly right away, though, so this probably won’t be a pen to everyone’s tastes. If you want to use and abuse an old-fashioned pen which will probably last for life, this is the Trabant of the fountain pen world. If you know you don’t have the patience to tinker under the bonnet, though, this might not be the perfect vehicle for your pearls of wisdom. 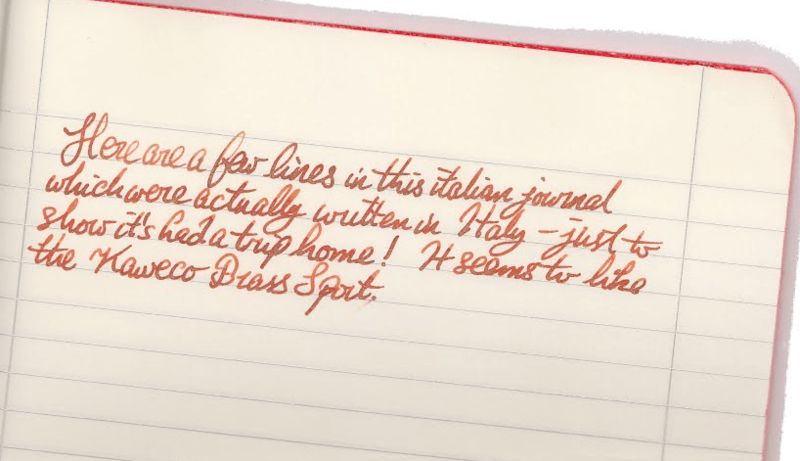 Where to get hold of one: You can view the Classic line Write Here (see what we did there? ), which is also where these pens were kindly donated to the United Inkdom reviewers for review purposes. 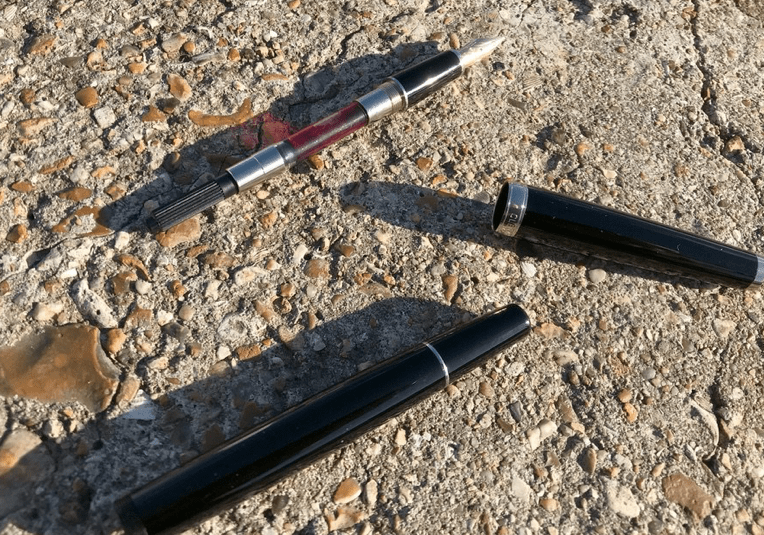 There are also other pens offered by Cleo Skribent that may tickle your fancy, such as the ebonite version which you can also find a review of below.